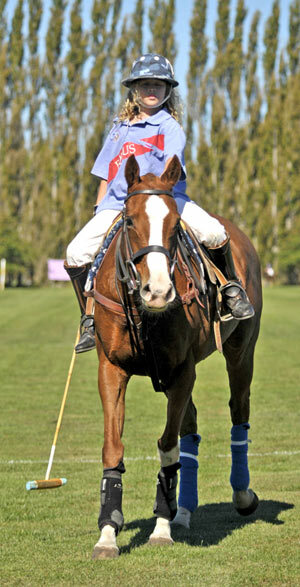 New Zealand polo ponies are renowned the world over for their speed and toughness. How do you make a top polo professional look ordinary? Put him on an ordinary mount. 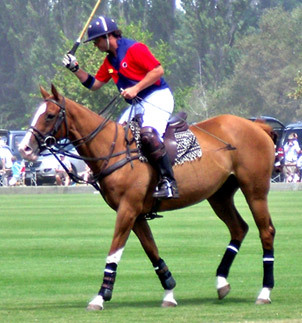 Well honed polo skills count for a lot, but you’re not going to be able to put those skills to full use unless your polo ponies are up to the task. It’s hard to believe it’s economic to ship a polo pony halfway round the world, but the numbers really do stack up. Dozens of players, from aspiring up-and-comers to overseas professionals, have bought horses from my stables in New Zealand and shipped them home. We put an enormous amount of effort into the training of our ponies. Students and players don’t want to come all this way to find themselves on sub-standard mounts! 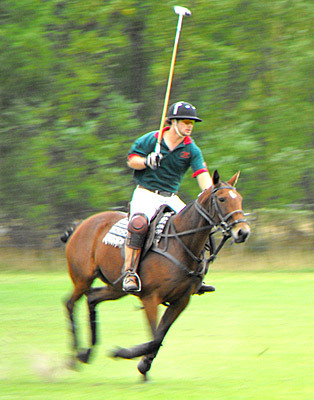 Argentina’s Ricardo Garros riding Mark Harris’s “Maggie” at the New Zealand vs Coronel Suarez Test Match on February 3, 2009. I like to go into each summer season with 35 to 40 ponies ready to play. This also gives me plenty of options in matching players to horses. Students and visiting polo professionals take the lion’s share of the ponies, so it’s an ongoing process to find and train new talent. It’s something I’ll never tire of. There’s a lot of satisfaction in turning a horse into a good polo pony. It’s been part of life for more than 20 years. 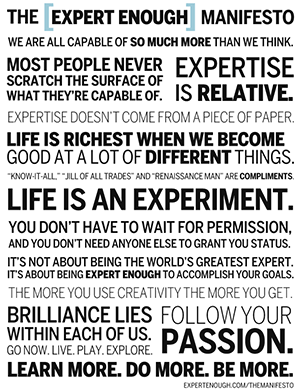 I think, after all those years, I know how to pick ’em, and train ’em! I stake my reputation on my horses. Many buyers keeping coming back, so I guess that says something. People have asked me why I don’t put the pictures and details of available ponies on my site. The reason is simple: it’s not the way to sell polo ponies, and it’s not the way to buy them, either. How are your current mounts? Could they be a factor limiting your progress in the game? It’s essential to match players with the right horses. If you want to discuss your requirements, then please contact us. Dozens of overseas players — both amateurs and professionals — have found that the numbers really do stack up. I’m confident you’ll find that, too.